The British Pest Control Association’s latest news update has interested local pest control firms. The National Bee Unit confirmed a sighting of the Asian hornet in Bury, Lancashire. A member of the public spotted it in a cauliflower which was traced to Boston in Lincolnshire. This is the first confirmed sighting since 2017 when a nest was uncovered in North Devon. The issue was successfully contained by bee inspectors who destroyed the nest. The first time Asian hornets, or Vespa velutina, was spotted in the UK was in September 2016 in Gloucestershire. Stay away from the nests. Asian hornets do not normally sting without provocation. They can fly faster than you can run. Running is a provocation and intrigues them. Crouch low to the ground, stop moving and try to cover your head. They are drawn to perfume and aftershave and grow agitated when they smell alcohol. The cost of eradication on private land will be met by the Animal and Plant Health Agency, who can be contacted through Defra. The Asian hornet is smaller than our native hornet. Humans are at no greater risk from this invader than from a bee. Our native species are double the size of the common wasp and are brown and yellow instead of black and yellow. Defra confirmed that the Asian hornet “…arrived in France in 2004 where it spread rapidly. As a highly effective predator of insects, including honey bees and other beneficial species, it can cause significant losses to bee colonies, and potentially other native species.” Their bee control services are unwanted. Work is already in process to identify any Asian hornet nests, with the APHA National Bee Unit setting up 1-2km surveillance zones and traps in Boston and Bury. Bee inspectors are also in contact with local beekeepers to inform them about risks to honey bee populations and the measures being enforced. 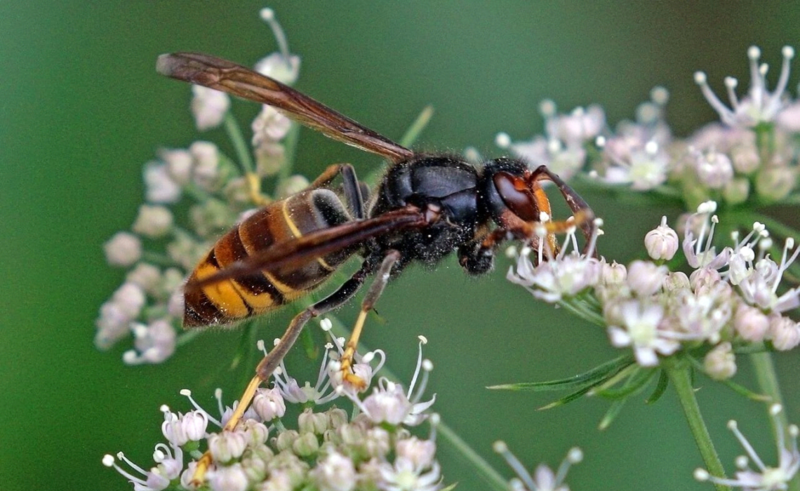 If you suspect you have seen an Asian hornet, use the government iPhone and Android app ‘Asian Hornet Watch’ or email alertnonnative@ceh.ac.uk. Local pest control firms play a vital part in aiding the eradication of an Asian hornet incursion and firms including Pest Control Berkshire are always on the alert for any signs that there is a presence in the Berkshire and Hampshire areas. If you need bee control services, please contact a local pest control firm who will employ the most viable approach and treatment, normally relocation. Asian hornets are unique in that their nests are destroyed; they are predators rather than an asset to the ecosystem like their native cousins. Asian hornet outbreaks have been contained in the past and there’s no reason to assume that this one won’t be if local pest control experts and the public work together and positively. How To Celebrate Your Birthday Alone?